Provide option for manage product details show/hide. 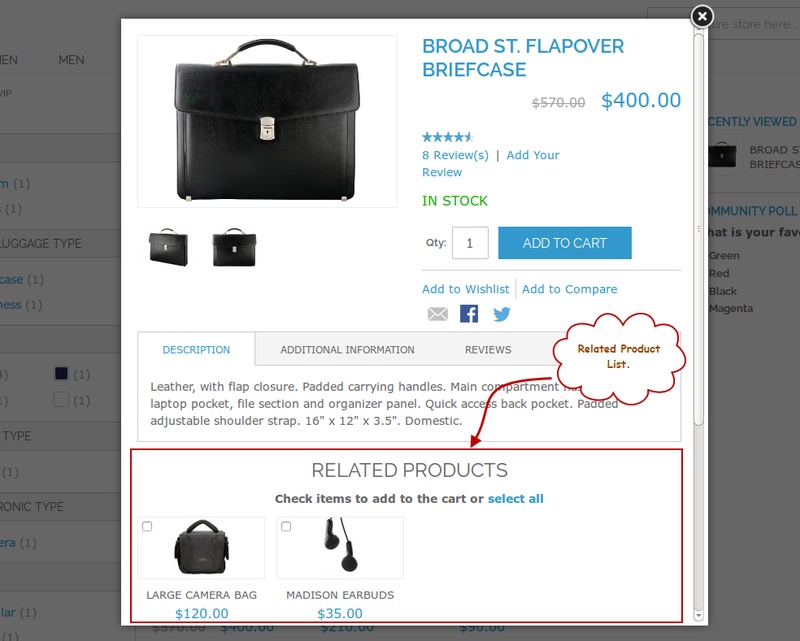 Display Related , Up-sell Product list into Quick View Popup. Provide fields for format Quick View Button according to Theme. Provide options for manage show/hide product Sharing Links and Add to Links. 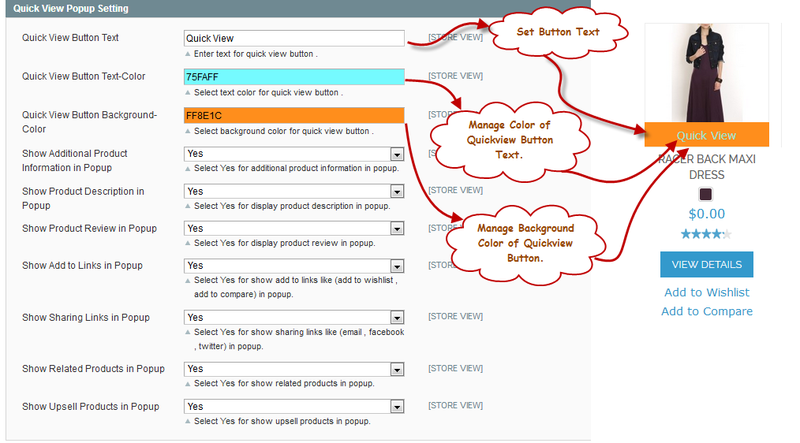 Provide option for set Quick View Popup in default theme and responsive theme. Responsive design of Quick View Popup. Set Development Mode On and Off. 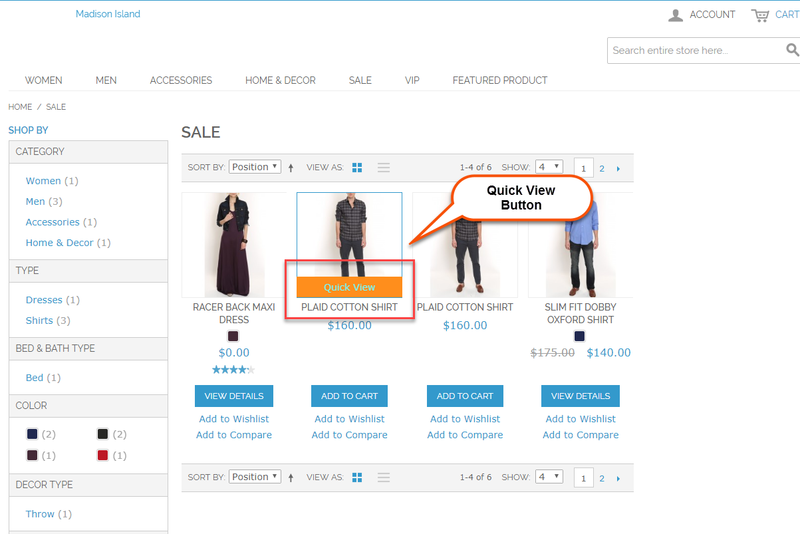 Ajax Quick View Extension help customers to view product details and add product to cart without navigate to product page from product list. Display product details in popup which is load by ajax. 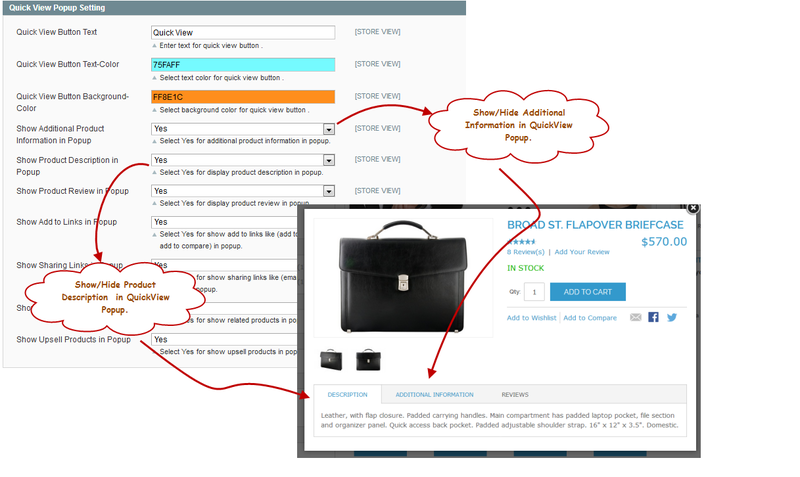 Customer can view all details of products into Quick View Popup. 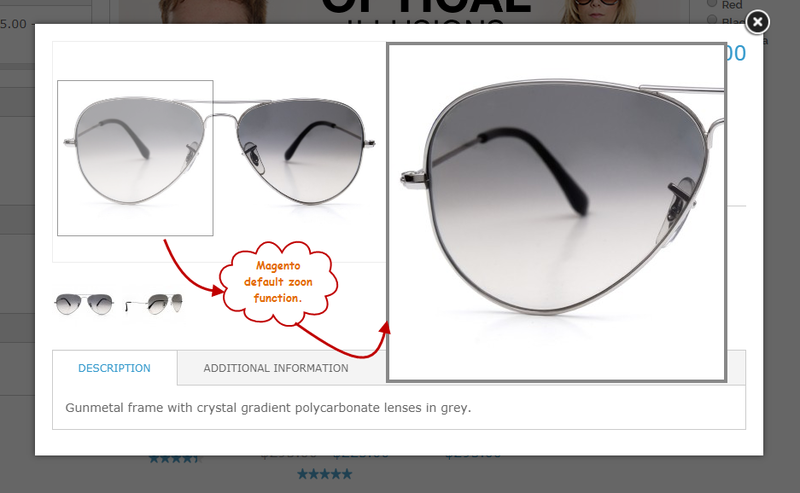 Product Quick View Popup support magento default zoom element so customer can view product image properly. 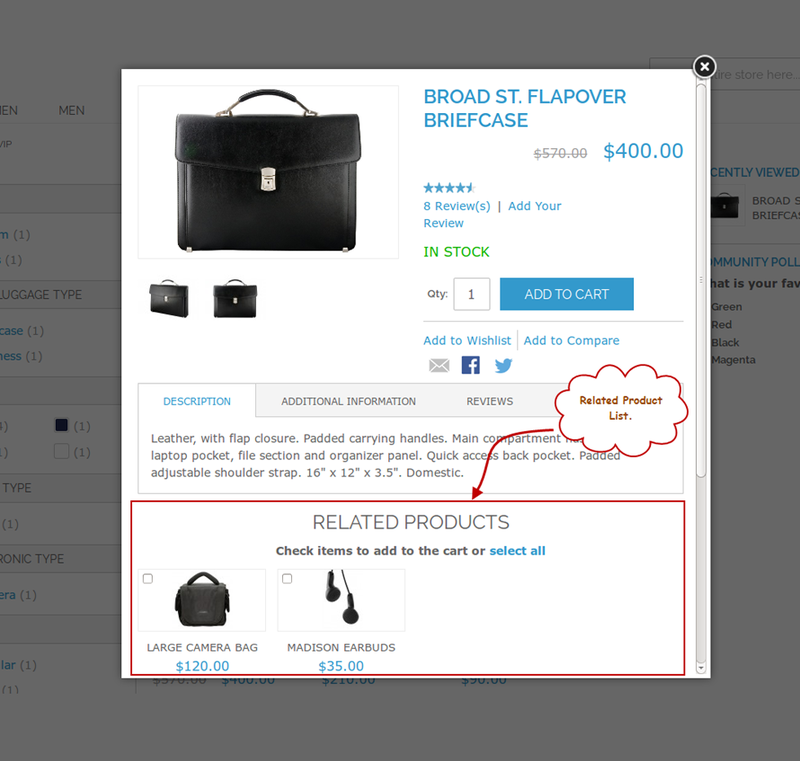 Display Quick View Button on Mouse Hover on Product. 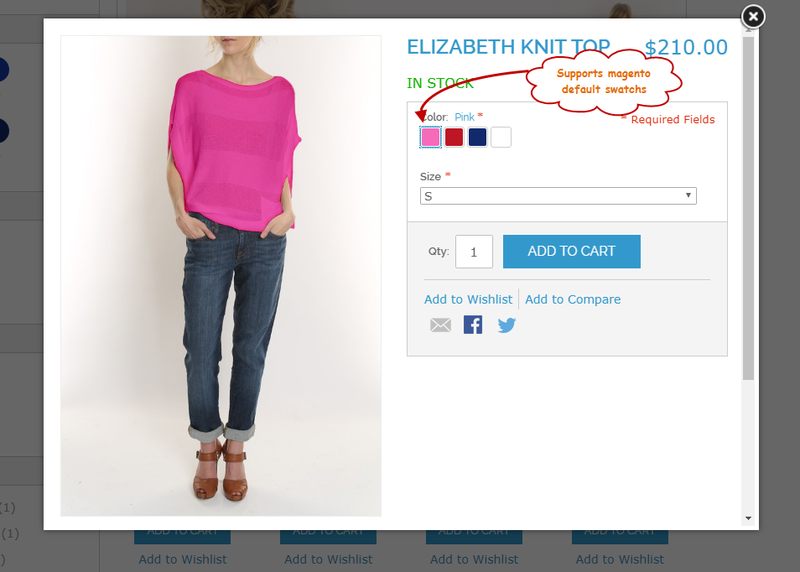 Display Magento Default Swatch in Popup. 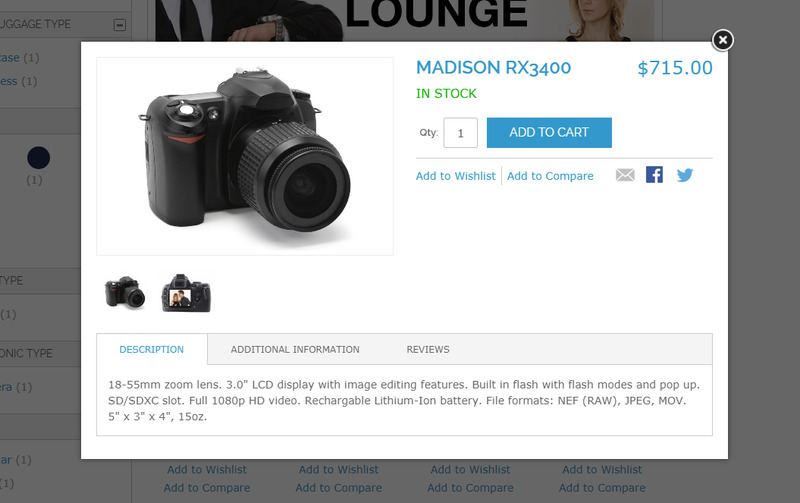 Display Magento Default Zoom Function in Popup Image. Manage Enabled / Disabled Quick View Module. Quick View Button Format Options. Provide Options for Show/Hide Product Details. Provide Options for Show/Hide Product Add To Link , Sharing Links and Review. 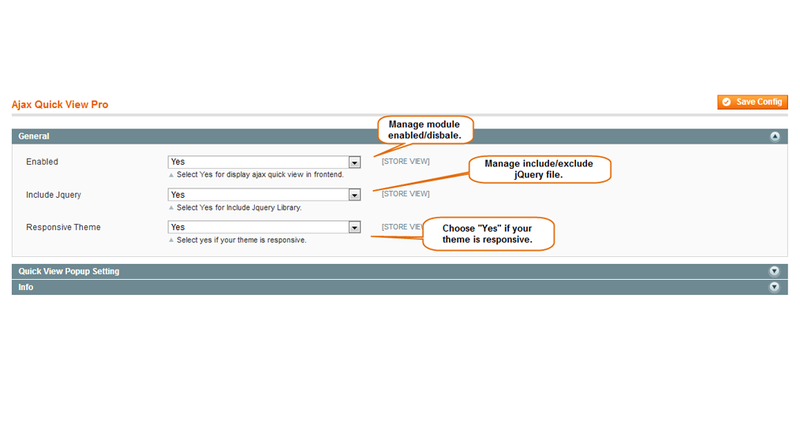 I am happy with the Magento Ajax Quick View Extension. It shows customers what they need and makes their decision making process easy. I have seen the sales number rising since we installed this extension. 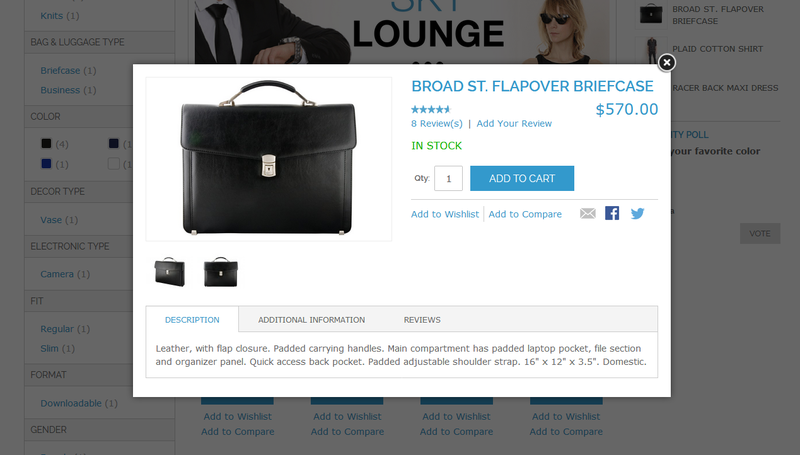 I love the fact that you can display related products in the pop-up to up-sell. MageBees has definitely thought of all the aspects of the business and built a functional module. The extension is exactly the same as described by MageBees. 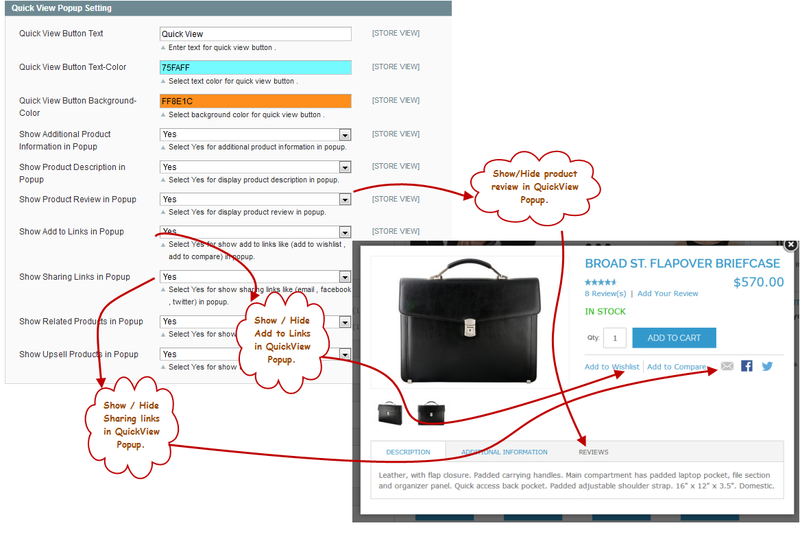 Very useful for showing a quick product view to the customers. The back-end configuration is so easy and quick that I would definitely recommend it to others. 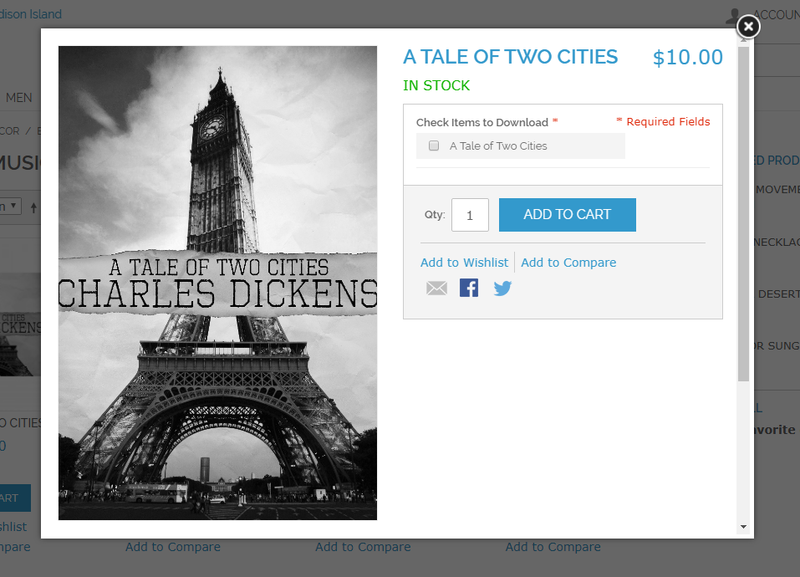 If you are looking to improve sales and convince customers to shop more, go for the Ajax quick view extension. 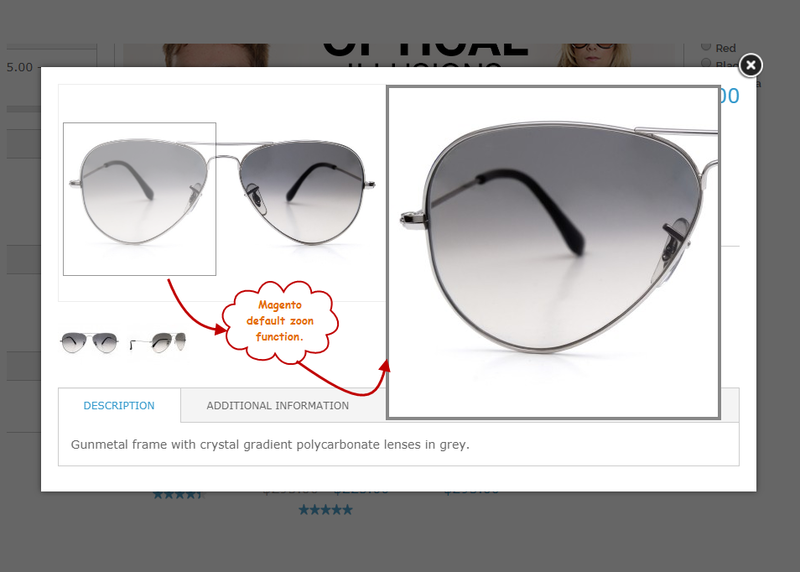 The pop-up window offers a quick view to customers and lets them shop for the required products easily. Good job MageBees. We really needed a Magento extension that worked well with our several hundred products. 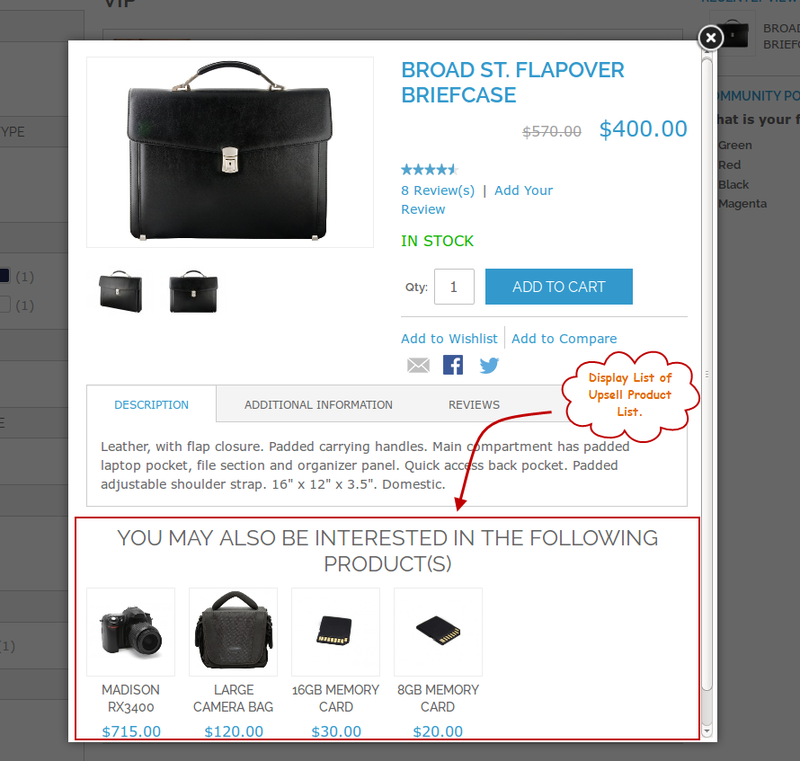 The Ajax quick view extension makes sure that customers can get all information of the product along with relevant product list in the pop-up. It makes customer shopping experience seamless. Also, it helps in improving sales numbers. Amazing Extension and Great Support. I just installed extension into my store and it's works great as describes. I have Installed Ajax Quick View Pro Extension. But when I click on Ajax Quick View Pro Tab in the config page will get a 404. After installing Ajax Quick View Pro Extension. Please Logout from admin account and Re-login and Refresh Cache. Not Display Quick View Button on Product List Page. Go To theme File of Product list.